French police are on the hunt for new four-legged recruits to join them in their crime-busting missions. However instead of the traditional canine, they are scouring for rabbits. RFI understands there is no connection with the Easter Bunny, which is due to appear later in the month of April. 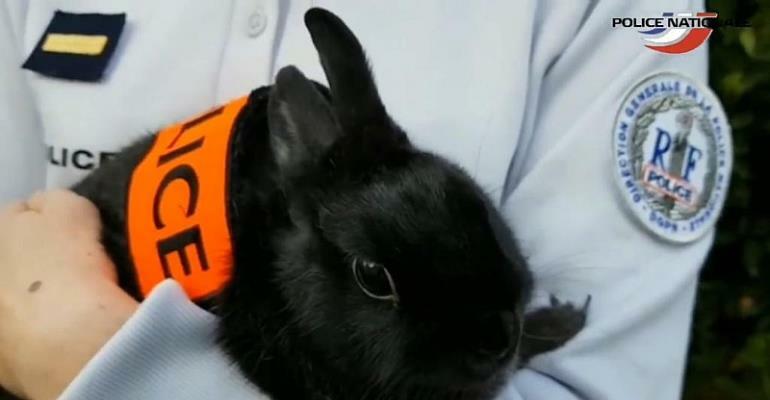 In a video posted on Twitter, a policewoman strokes a black rabbit presented as "Marinette" – the pin-up bunny of the Police Nationale's recruitment drive. And underqualified rabbits need not apply: the French police's interview process is notoriously rigorous; they will not be fooled by imposters. "It is true that in the police we mostly know the work of dogs but today we are calling for new recruits like Marinette," says the officer in the one-minute video that received more than 5,000 likes on Monday. The hiring campaign was one of many outlandish new initiatives traditionally announced on 1 April in France, known as a poisson d'avril. In another, Belgium is to take over the Tour de France. RBTF website wrote Monday that in a fit of revenge, Belgians would now run the 21-stage cycling tournament instead of their historic rivals. The competition, as always, will take place in July, they announced.